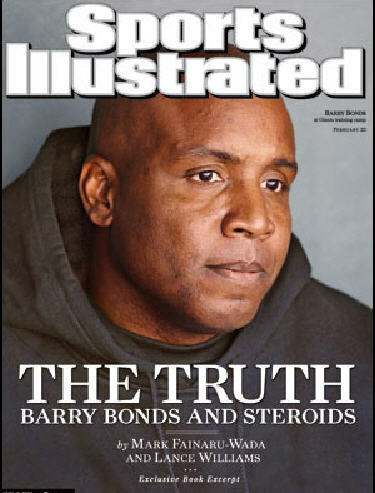 God Meets Ball: Can Barry Bonds be Honest? Barry Bonds holds the record for the most home runs in a season, the most home runs in a career, and the most MVP awards in a career (7). 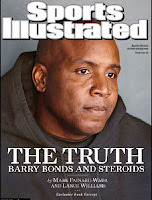 But the baseball community remains divided over the credibility of Bonds' accomplishments due to the assumption that he used performance enhancing drugs during the latter years of his career. (Good summary by SI here.) So I was interested to read an article yesterday that there's every possibility that the Giants will find a role for Bonds within their organisation. Giants general manager Brian Sabean told the San Francisco Chronicle that Bonds would be welcomed back. "The invite's open-ended. It's not a matter of if but when," Sabean told the newspaper. "He's got a personal services contract." I never knew when, but I always knew this day would come. It's time for me to talk about the past and to confirm what people have suspected. I used steroids during my playing career and I apologize. I remember trying steroids very briefly in the 1989/1990 off season and then after I was injured in 1993, I used steroids again. I used them on occasion throughout the nineties, including during the 1998 season. It was a long time coming, but I respect him immensely for making this statement before taking his coaching position. Just honesty, openness, vulnerability and a chance at redemption. Barry Bonds, please take note!